An art package for the Plus series of computers written by Trebmint in 1993 for Radical software. This is the last evolution of this art package. The first (SmART) was a type-in in Amstrad Action issue 29 on page 72. 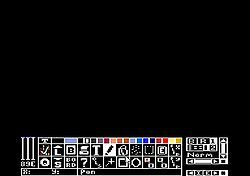 This was mostly made in BASIC and designed for drawing in mode 1. It was compatible with the CPC. The second (SmART 2) was given free on a cover-tape with Amstrad Action November 1991 (issue 74) (in Action pack 8), it was also compatible with CPC and designed for drawing in mode 0. This page was last modified on 22 July 2010, at 07:51.